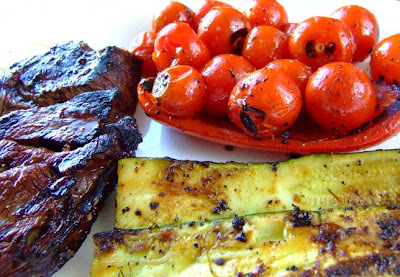 Scientician: I can has grilled dinner? Let husband cook steak, also very delicious. The marinade does tend to blacken a little but I can assure this meat was not burned and was in fact cooked to perfection. This sort of thing makes me fall in love with him all over again. I love that kind of man stuff. It is charming.